For most people, throwing out old items out can be hard. Some organization experts say that the most common barrier between you and throwing out unused items isn't selfishness or laziness, but avoiding change! It's easier to keep all your trinkets and unused household items then to get rid of them and change your life. But some change can be helpful, as Marilyn Bohn, author of Go Organize!, points out, "No one ever says, 'I wish I'd kept more stuff.'" 1. Coffee Mugs, Utensils, Everything and the Kitchen Sink! Let's face it, do you really need that many coffee mugs in the cupboard? Do you ever use more than one set of utensils? What about all those plastic containers you can't even find lids for anymore? How many times have you bought containers only because you can't find the last batch? (Enough, let me tell you!) A good rule of thumb; if you haven't used it in the past 2 months, or don't use it at least once a year (think holiday parties), then it's time to let it go! 2. Bags or Luggage - Think realistically about travel plans. Unless you're a worldly traveler who travels for months at a time, chances are you only use 1-2 luggage bags per trip. So those bags of bags stuffed under your bed? More than likely unnecessary, and will likely be much happier at a local donation centre. An investment of a good quality purse or luggage bag will last you longer, and their durability and generous size will mean you only need one or two. Of course, you may make a resolution to travel more, but in that case, make sure you don't over pack. Just because you have the bags of luggage to use, doesn't mean you'll need them. Wouldn't you rather enjoy your time sightseeing than dragging around heavy bags of clothes (and even souvenirs?) that you didn't even use? Think frugal, think thrifty, think about what you'll actually use. 3. Sporting Equipment - Would you rather have it and not need it? This all comes down to planning. A lot of us work on a "spur of the moment" basis when planning trips, and sometimes our long term planning makes us think in the way of "I'd rather have it an not need it than need it and not have it." But luxuries like sporting equipment don't always have to be expensive buys that take up space. A handy alternative to hoarding unused tents or ski's, is renting the equipment only when needed! Rule of thumb similar to kitchen items; if you haven't used it in the past 2 years, make some room in your garage and get rid of it! If you do happen to go on an adventure requiring ski's, just rent them from the resort you're skiing at. There are many facilities that are beginning to rent equipment now, including some camp sites that rent tents! 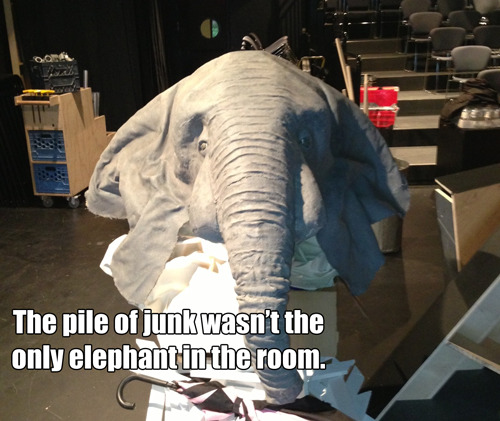 Renting equipment also saves you the hassle of transporting bulky items. All too often we're held hostage by some old shirt, pants, shoes, etc., that don't fit, need repair, or only got because they were on sale but you never really liked that much anyway. Or maybe it's those free t-shirts, complete with logo, to affirm you went to that Bon Jovi concert in Buffalo, NY in '86. If your memories are tied to those items, maybe try crafting them into a quilt as a project (if you're crafty). Donating is always an option for those items, however if the item is in good condition, some collectors may be interested. You'll always have the memories, even if you don't have the shirt to prove it. Magazines date quickly. Any popular periodical is tied its time and can become irrelevant quickly. If you haven't read a magazine in the past 2 months, chances are you aren't getting around to reading it anytime soon and should likely toss it to the recyclers. Additionally, if you've already read it and enjoyed it, pass it along! There's probably someone at a retirement home, doctors office, hospital, or elementary school who would get more use out of it then you would! 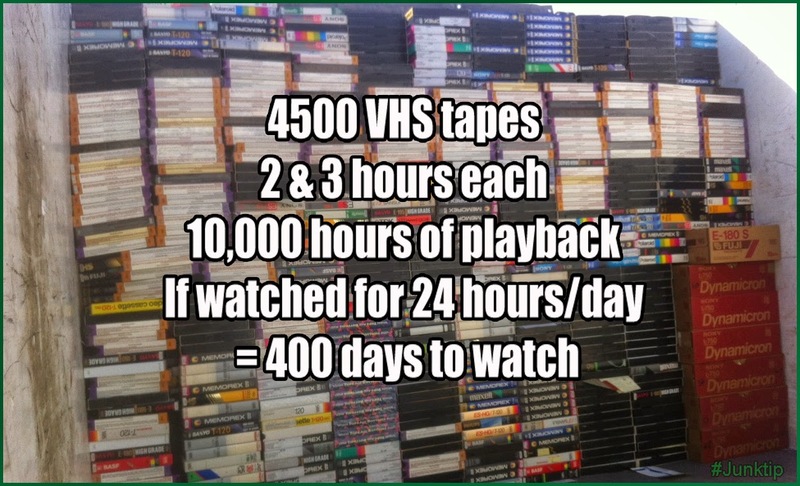 We can say the same for that outdated collection of VHS tapes! 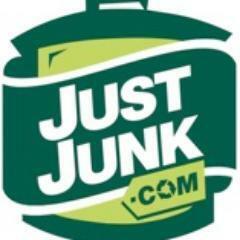 But wait, JUSTJUNK, what about those magazines that do retain their value? A mass collection of National Geographic Magazines might have some value! While this is true, how do you measure that value? Do you re-read them for the history? Great! Go through them, find the ones you like the most and the ones you may be able to donate! If you're just rereading them for yourself, large magazines like National Geographic offer their entire catalogue as a digital collection these days, where the volumes and articles are organized easily for your perusal without taking up all the closet space and without requiring all that pesky maintenance. Almost every popular magazine has a digital or online counterpart. You can still enjoy all that great content. If you are a collector, then you most likely have the space set aside for your collection, but just make sure you have a plan for that collection, otherwise you risk it simply collecting dust. 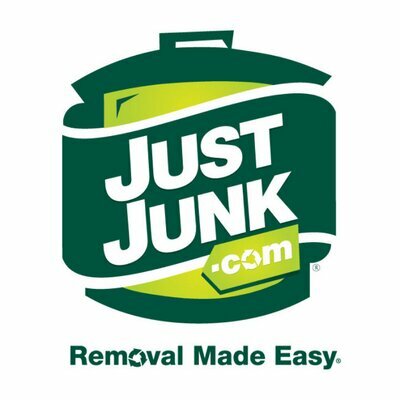 If you decided you can bear to get rid of some unnecessary items this year, let JUSTJUNK® help you make it a positive experience! 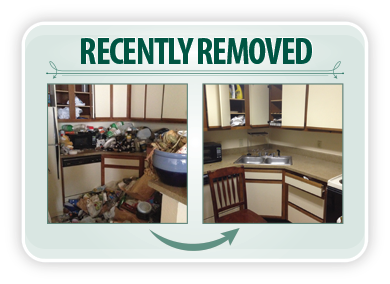 We can help by donating or recycling your unused items, so you can get your free space back! 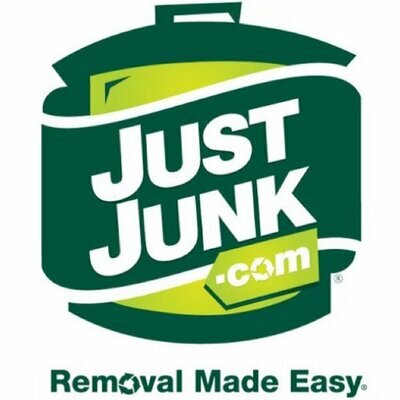 JUSTJUNK® wishes you a happy and safe 2015!